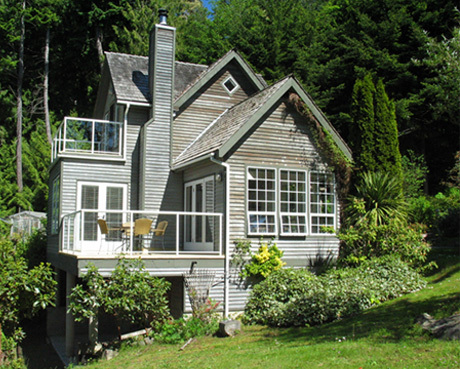 Coach House on the Cove is nestled in a picturesque cove on South Pender Island. This luxury oceanfront cottage rental is ideal accommodation for a honeymoon, romantic getaway or country vacation. Relax in the sun or enjoy your holiday hiking, kayaking, sailing, golfing or just exploring the seashore. Only minutes away, you can sit on rocky bluffs and watch for porpoises and whales or hike forested trails shared with deer and other island wildlife. Seals, otters, mink, kingfishers, osprey and eagles are just some of the ocean life that will entertain you by day. In the summer evening you can relax over a candlelight dinner on your deck and enjoy the sunset. If it’s cooler, snuggle in front of the wood fireplace with a glass of wine or a good book and let the peaceful, soothing atmosphere work its charms on you. Our vacation cottage is surrounded by a lush country garden of flowers, ferns, vegetables and herbs that grow in this mild island climate. Only 50 cm. (20 inches) of rain a year and a unique west coast environment produces the warmest, most comfortable year round climate anywhere in Canada. Over 25% of our island is parkland and its natural beauty can be enjoyed from many walking trails and country roads. 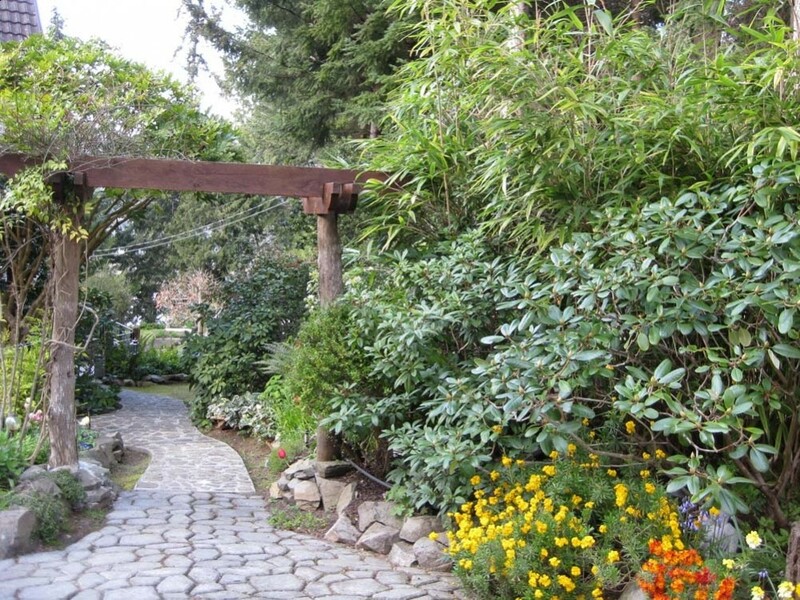 Where is Pender Island, British Columbia? 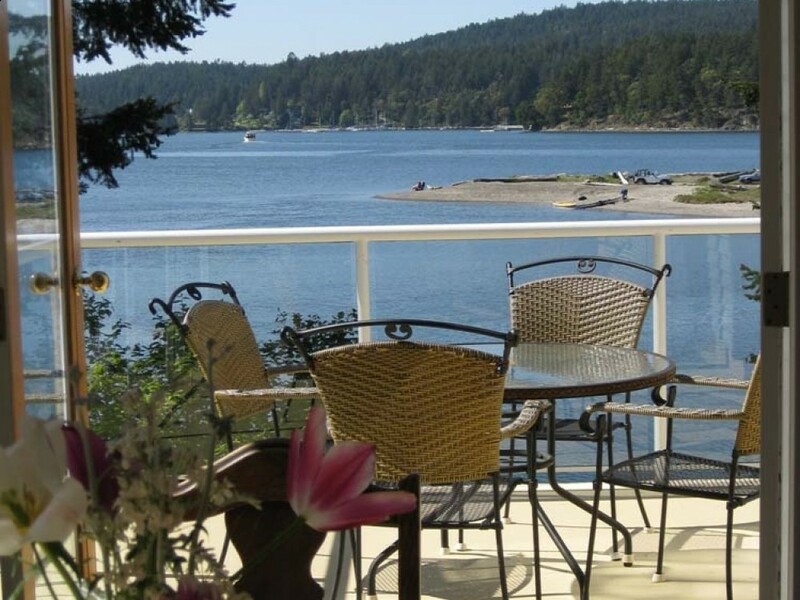 Ideally located in the Gulf Islands between Victoria and Vancouver, British Columbia and only minutes from the Washington State San Juan Islands, we are easily accessible by car, ferry, float plane or by boat to our private dock.